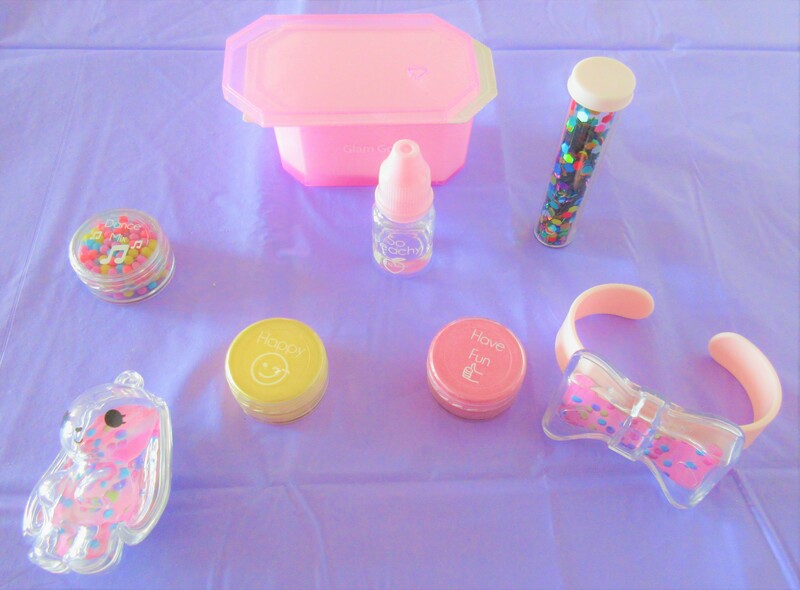 Eva’s having Gooey Fun With the Glam Goo Confetti accessories pack we received to review. 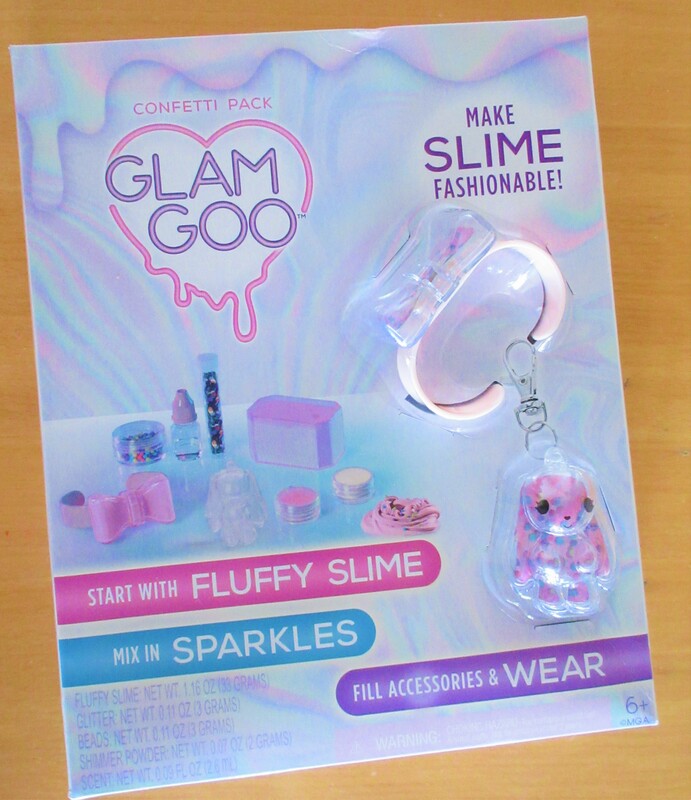 Eva was really excited to receive the Glam Goo kit having seen adverts around for it. 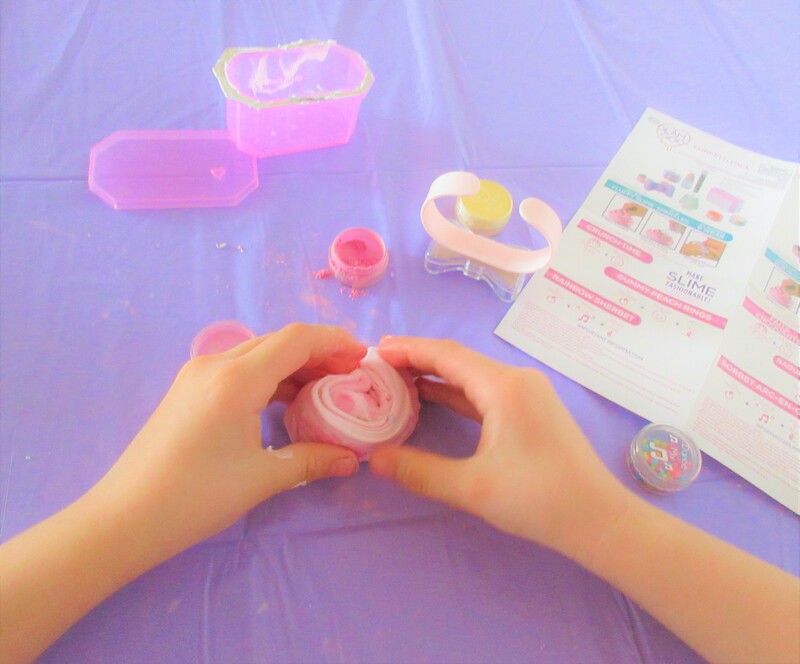 This fun-filled pack comes with 2 accessories, a bow bracelet & a bunny keychain to fill with slime when you are done mixing in different ingredients. 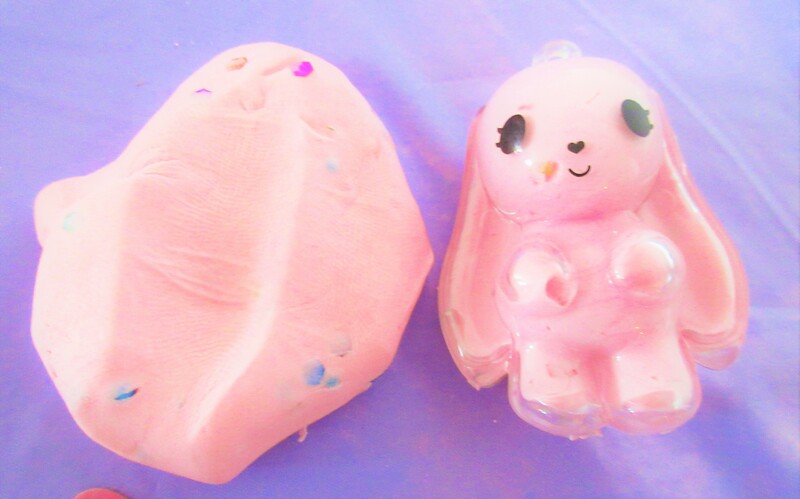 This pack comes with fluffy slime, a peach scent, 2 colours (Pink & Yellow), colourful confetti & balls to mix in with your gooey slime! Eva really enjoyed playing with the fluffy slime. We split the slime into 2 halves so Eva could try 2 different types. 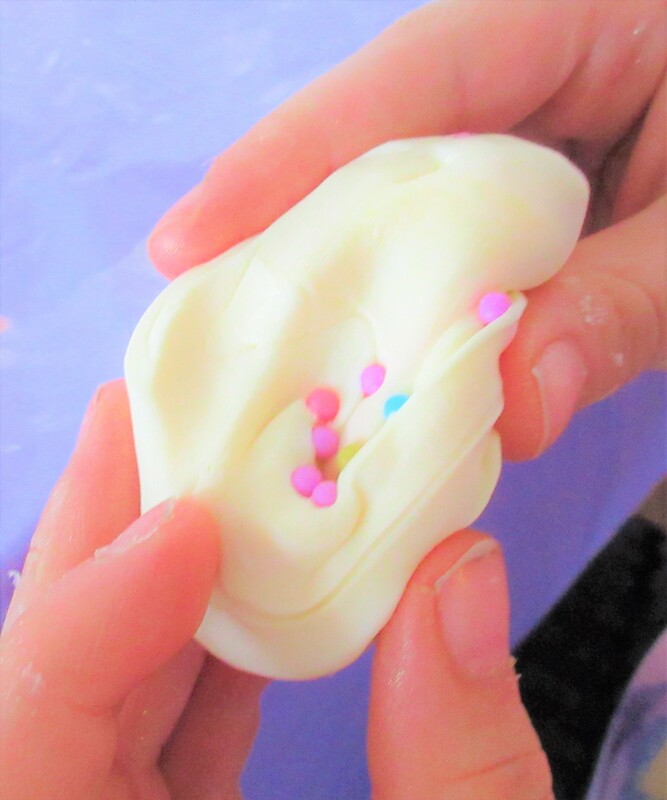 She decided to start off adding in some of the colourful balls to her slime. Next, she added some pink colouring, her favourite colour! Once she had added in the powder, Eva decided to add some colourful confetti. Having decided she was going to put the pink slime in the bunny keychain, Eva was pleased to fill up the bunny and still have some left over. 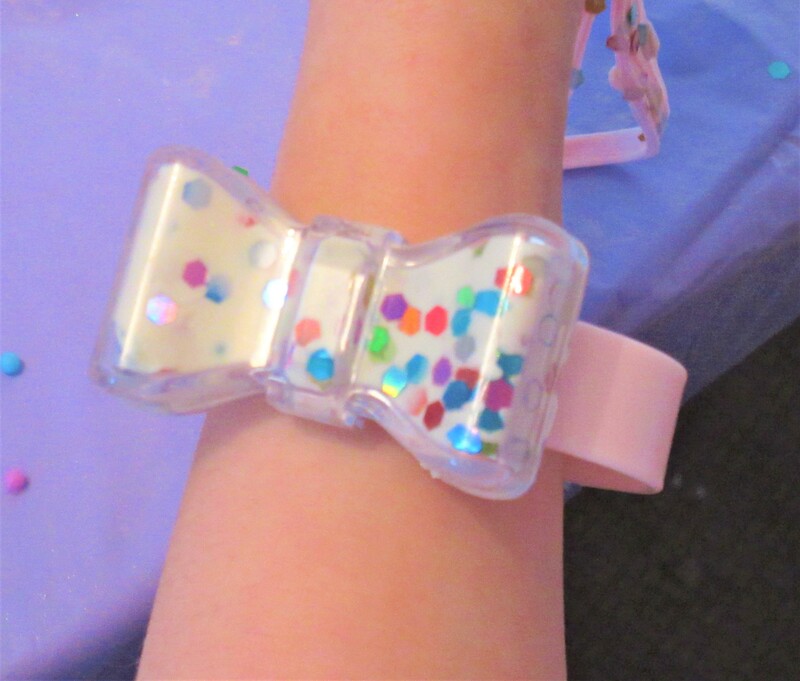 With the second half of the fluffy slime, Eva decided she wanted to make a yellow bow confetti bracelet. She got to work adding the yellow powder and peach scent first. It’s all about the colour with Eva so she decided to add the coloured balls in again for the second half. 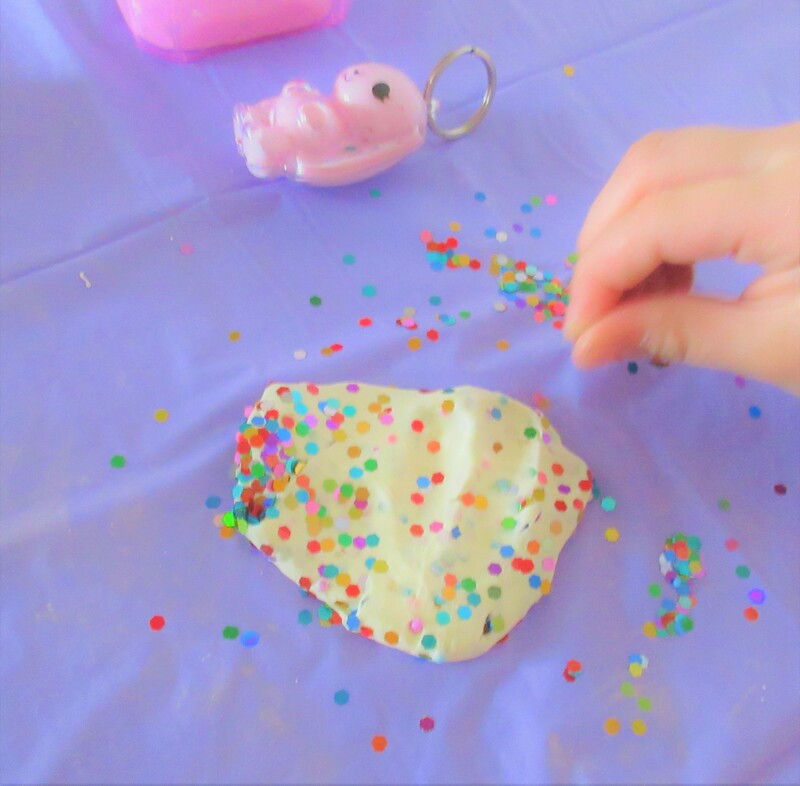 Next, she added some more confetti, she had a slight confetti explosion but was happy with the end result. 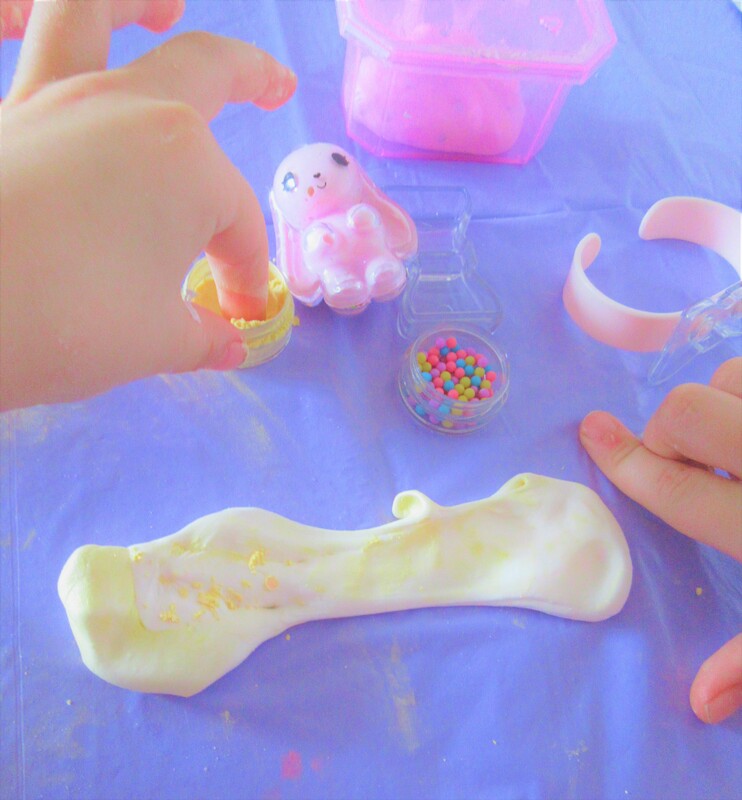 After squeezing some of the yellow colourful gooey slime into the bow bracelet she had more left over again. She eventually mixed the two colours, keeping it in the handy pink storage pot and keeps both lots of slime in their accessories. 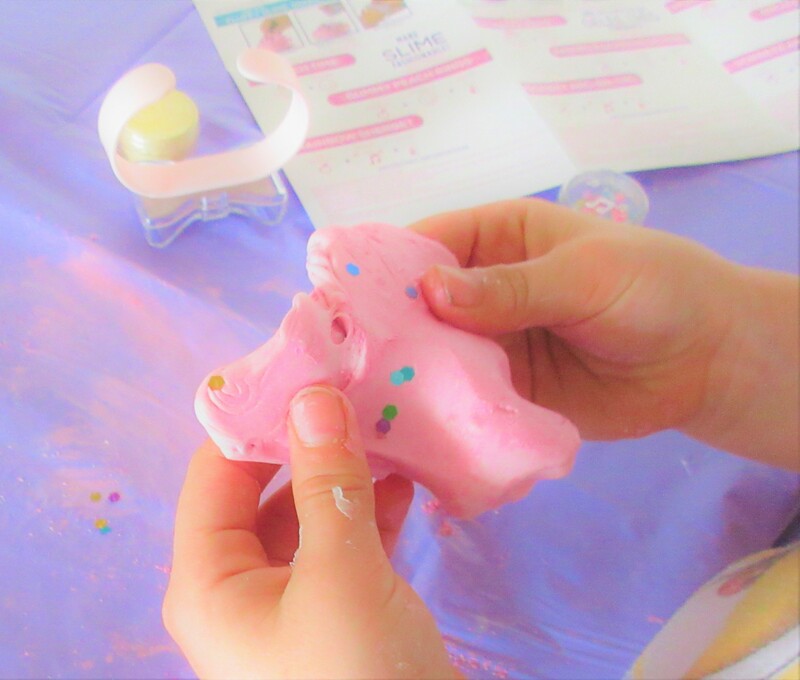 Have your kids discovered gooey fun with Glam Goo yet? 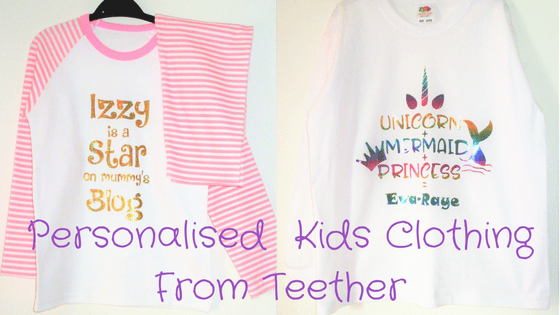 We received gorgeous personalised kids clothing from Teether for the girls this week. Personalised anything is a win for my girls, especially having harder to find names. Teether offers a fantastic range of personalised clothing with a range of printed designs available. 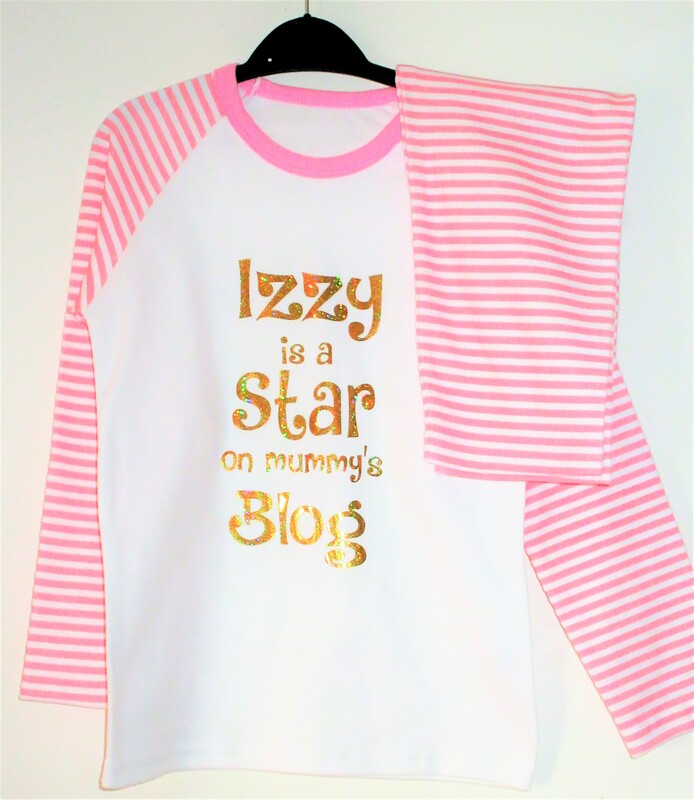 From personalised kids clothing such as pyjamas, baby vests, baby grows, t-shirts & more you are bound to find something you like. High-quality clothing from baby to adult, Teether really do offer a fantastic personalisation service. All this at a great price too. 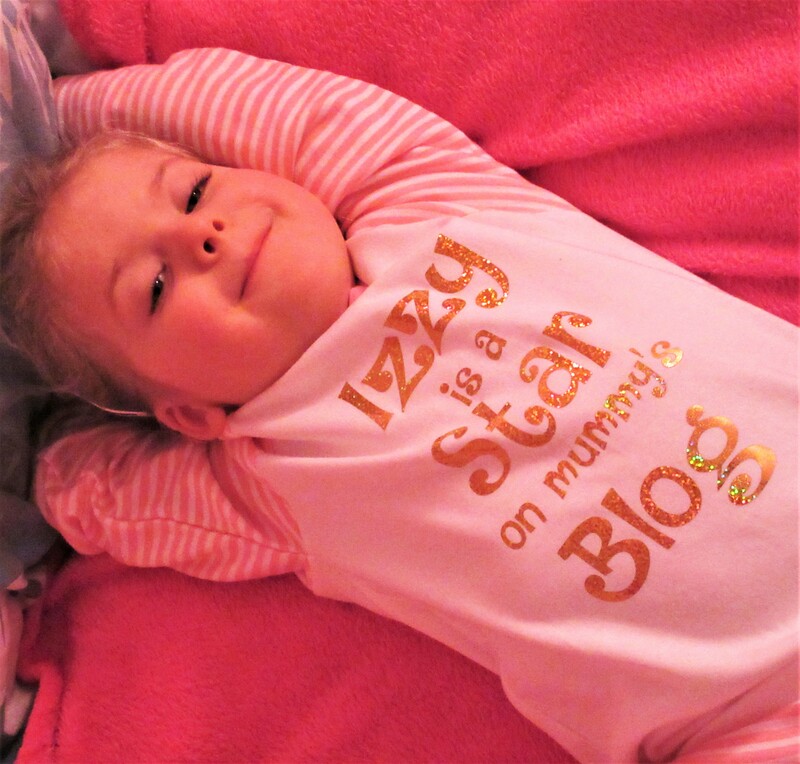 We received a gorgeous set of personalised pyjamas for Izzy. She is on the bigger side for 3 years old and we have had to start buying 5-6 years in pyjamas. Mostly for the trouser length as she has super long legs but these are 4-5 years and actually have some room for her to grow in to! 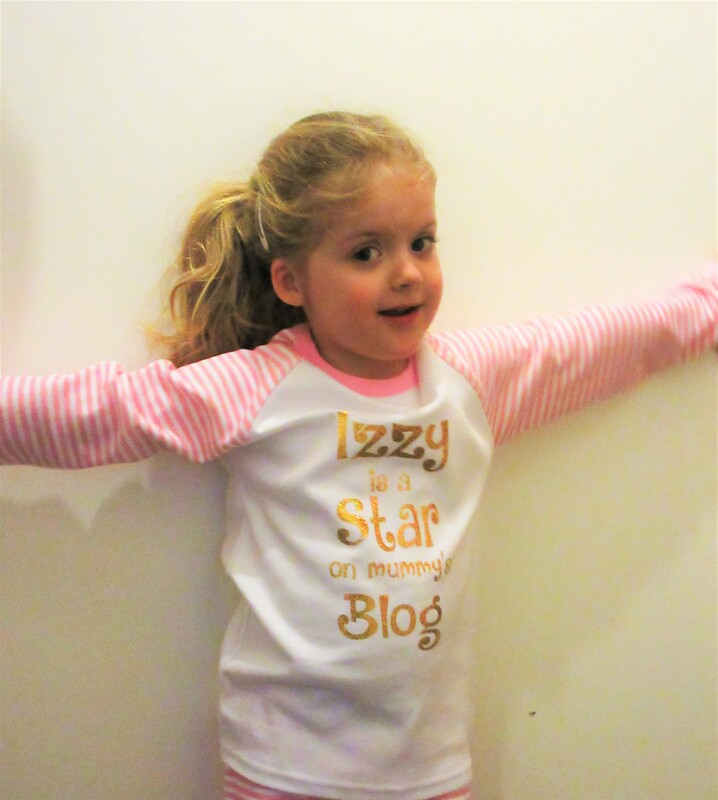 Izzy chose to have ‘Izzy is the star of mummy’s blog on’ printed on hers which made her day! 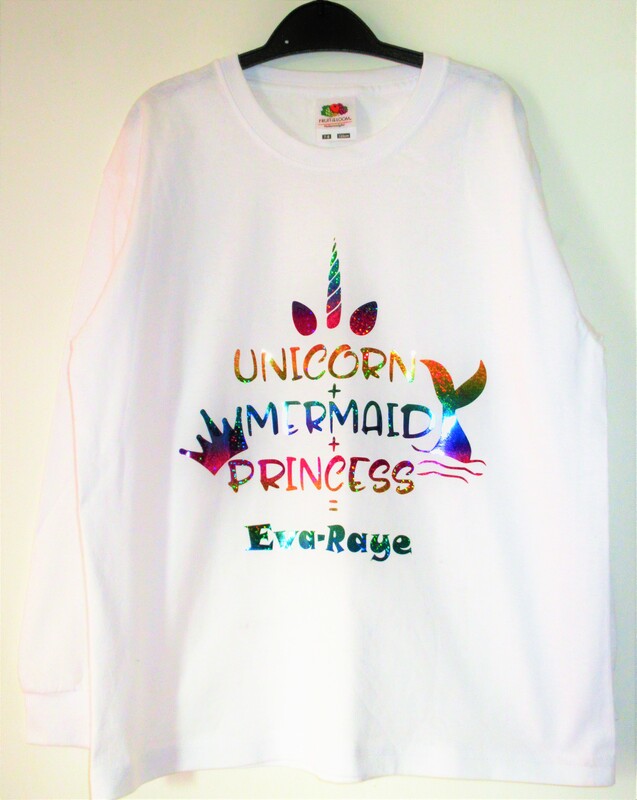 They are so soft and the colours of the prints are so vibrant and shiny. She looks a little smug here too in the very few shots I managed to take with her staying still! She looks so cute in these and they are ‘snuggly’ so she really loves them, I can see them being spotted on Instagram regularly haha! Eva loved the pyjamas but she spotted a design she preferred much more and it definitely suits her personality. She really wanted it on a long sleeved top so she could wear it out. I was a little worried as she is really fussy when it comes to clothing. Labels are usually a big bother for her but she found this top really comfortable. 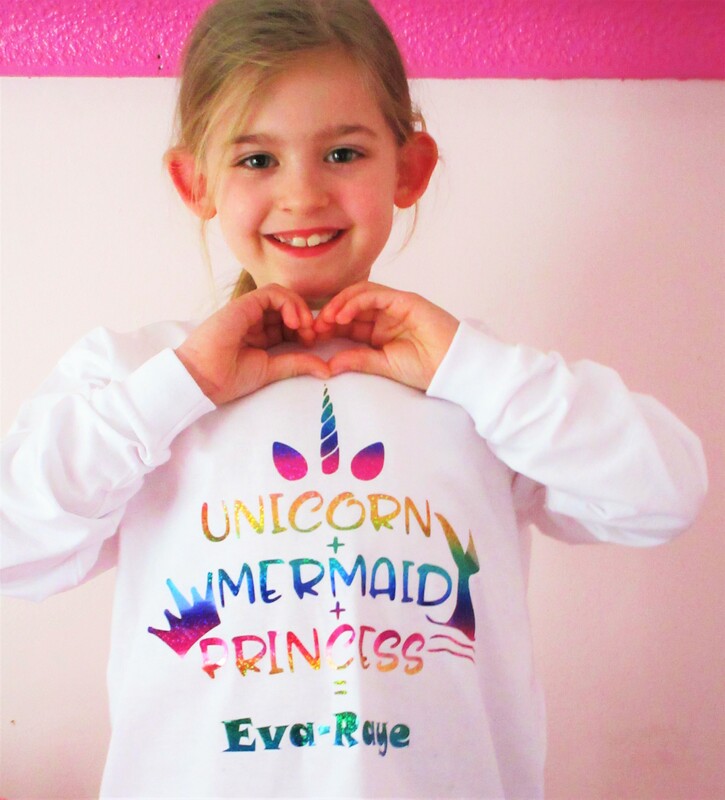 The ‘Unicorn + Mermaid + Princess = Eva-Raye’ design couldn’t have been any more perfect. Teether really did a fantastic job with this and we are both ecstatic with the result. 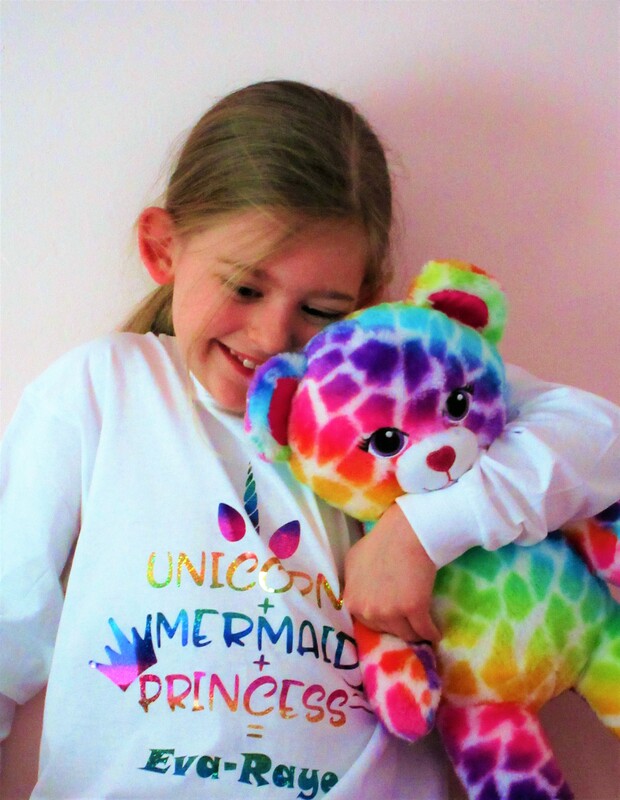 As you can see below Eva loves anything colourful and now she matches her build-a-bear too! It’s safe to say we all love the fab designs and clothing from Teether and would definitely recommend them. You can find Teether over on Facebook & Instagram if you want to find out more and see more of their fab range or visit their site. What do you think of Teether’s personalised kids clothing?